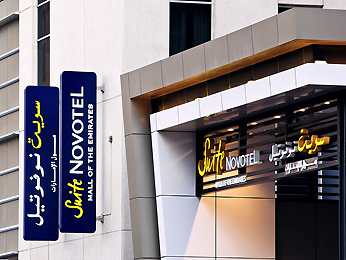 Everything Dubai has to offer is just minutes away from Novotel Suites Dubai Mall of the Emirates. This stylish 3-star hotel is a mecca for shoppers, while business guests will appreciate the proximity to the city’s major financial district. With beaches, the marina, even skiing, just a stroll away, prepare for a fun-filled stay at Novotel Suites.